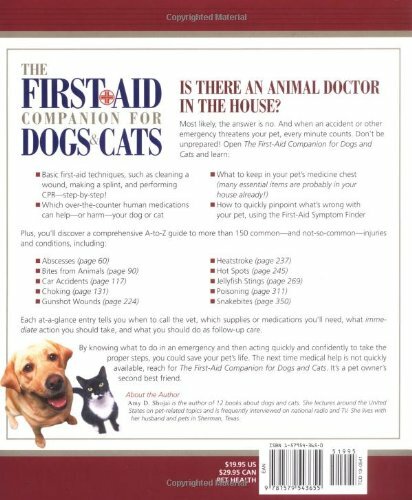 The First Aid Companion for Dogs & Cats (Prevention Pets) is an amazing book on home pet care kits, symptom checkers and a comprehensive guide on injuries and health conditions. We hope this book can help you in emergency situations and be a useful guide in caring for your pet. Each at-a-glance entry tells you when to call the vet, which supplies or medications you'll need, what immediate action you should take, and what you should do as follow-up care. By knowing what to do in an emergency and then acting quickly and confidently to take the proper steps, you could save your pet's life. 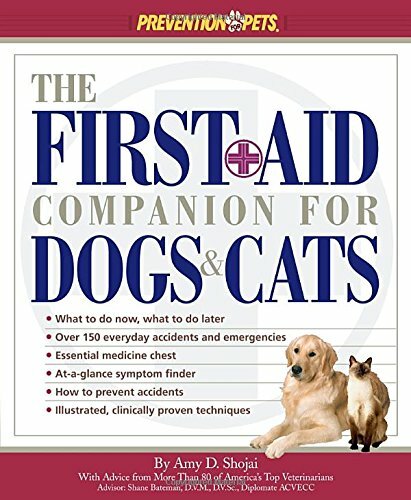 The next time medical help is not quickly available, reach for The First-Aid Companion for Dogs and Cats. It's a pet owner's second best friend. It's every pet owner's nightmare: suddenly your four-legged friend isn't breathing. What to do? There is no 911 for pets, so it's up to you to save a life. 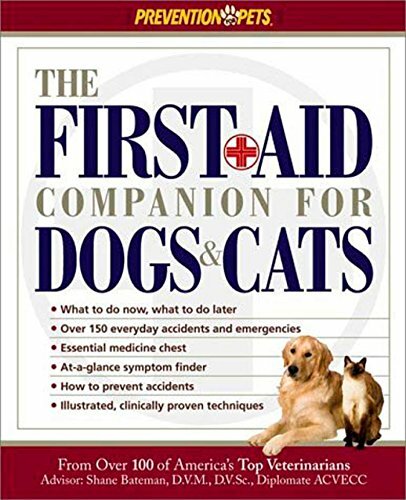 The First Aid Companion for Dogs & Cats is a straightforward guide that covers both major problems--CPR, heat stroke, and strangulation--and minor ones, such as swollen tails, ingrown nails, and flea allergies. 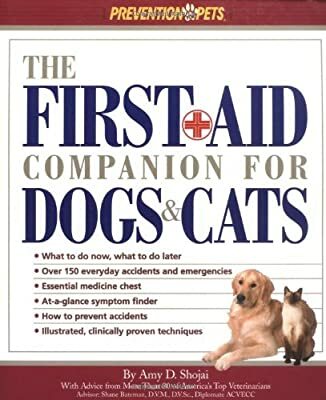 Beginning with simple tests and explanations of general care issues like dehydration examinations and triage, this guide then moves on to an alphabetical listing of every possible situation, from arrow wounds to worms.